Abramorama and Above & Beyond recently announced a deal for all rights, including a global theatrical rollout, to Above & Beyond Acoustic – Giving Up The Day Job, a concert documentary about the award-winning British electronic act Above & Beyond. The film is directed by award-winning directors Paul Dugdale and Myles Desenberg. Paul Dugdale with Scheme Engine (Ed Sheeran: Jumpers For Goalposts, The Rolling Stones Olé, Olé, Olé! : A Trip Across Latin America) directed the live concert at The Hollywood Bowl, and Myles Desenberg of BAFTA-nominated production company Archer’s Mark, directed the behind-the-scenes documentary of the act on tour. Over the past few years, Abramorama has been working with the Beatles, Green Day, Neil Young, and Pearl Jam among others, as well as with Apple Music, Atlantic Records, Concord Bicycle Music, Universal Music Group, and Warner Music Group. They will release Above & Beyond Acoustic – Giving Up The Day Job theatrically at the beginning of 2018 in conjunction with the act’s US tour and continue to roll out the film around the world in the months to follow. Their latest electronic album ‘Common Ground’ is due in the first quarter of 2018. In 2016, GRAMMY-nominated trio Jono Grant, Tony McGuinness, and Paavo Siljamäki left the electronic world behind, risking it all to go acoustic. Above & Beyond Acoustic – Giving Up The Day Job, follows the group’s unlikely journey from the DJ booth to the Hollywood Bowl. From the re-imagining of songs in Abbey Road Studios to their presentation in iconic global venues from the Sydney Opera House to New York’s Beacon Theater, San Francisco’s Greek Theater and finally the Hollywood Bowl. With a traveling party of 17 musicians, and an additional 34 of Los Angeles’ finest classical players, the new film is an intimate behind the scenes look at one of the world’s biggest electronic dance groups as they separate the song from the beats and try something new. 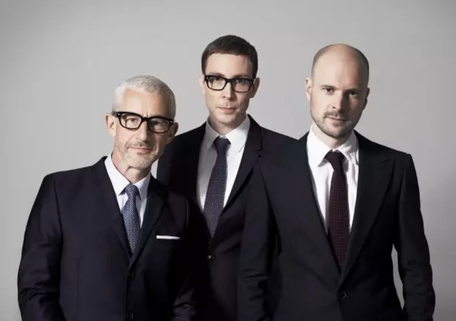 Above & Beyond were the first British DJs to sell out Madison Square Garden and the Forum in Los Angeles and have previously sold out the Hollywood Bowl, Sydney Opera House, Royal Albert Hall, O2 Arena, Wembley Arena, Alexandra Palace, Ziggo Dome (Amsterdam), All Phones Arena (Sydney), Sidney Myer Music Bowl (Melbourne), Red Rocks (Denver) and The Greek Theatre (Los Angeles and San Francisco), as well as the 23,000 capacity Gorge Amphitheatre in September. Myles Desenberg has been documenting the Above & Beyond journey since 2010, when he first started filming their live performances and UK tours. Having cut his teeth directing visually distinctive work for the likes of Nike, Beats, and Red Bull, Desenberg is known for his stylized commercials and short form documentaries. Giving Up The Day Job will be his debut feature.